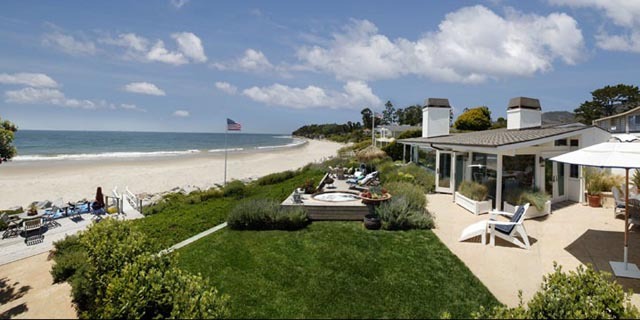 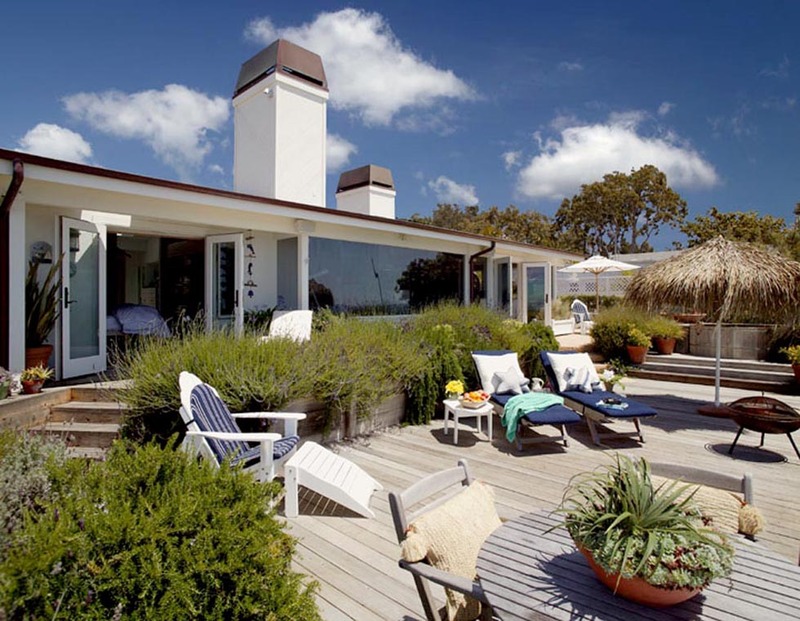 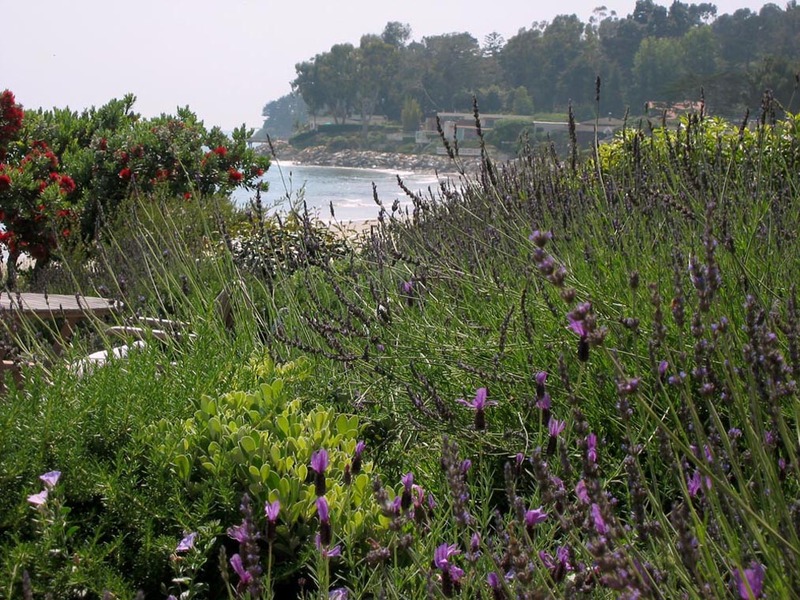 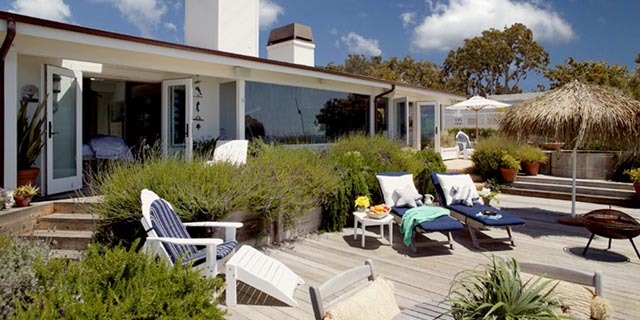 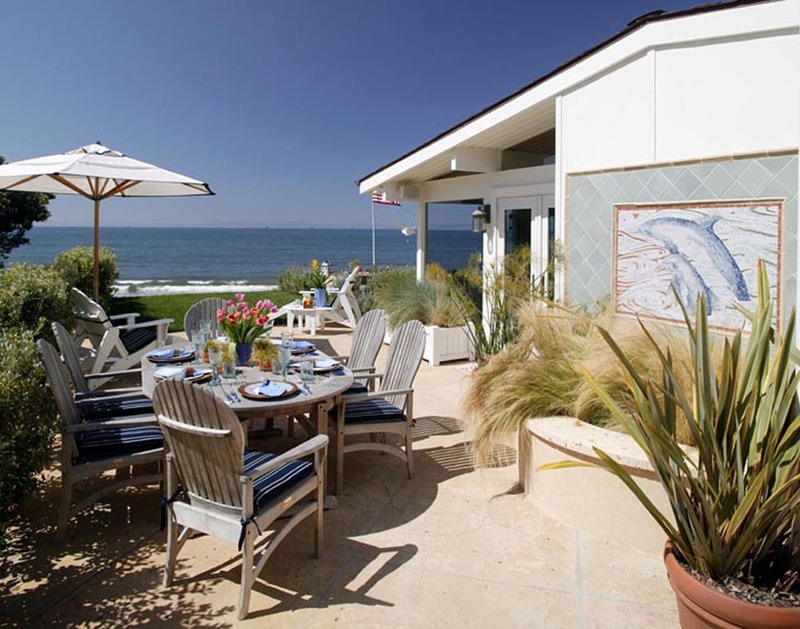 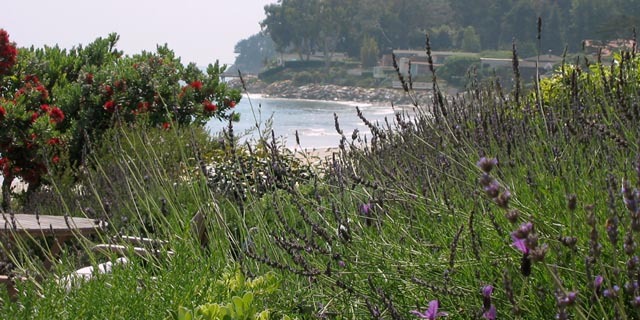 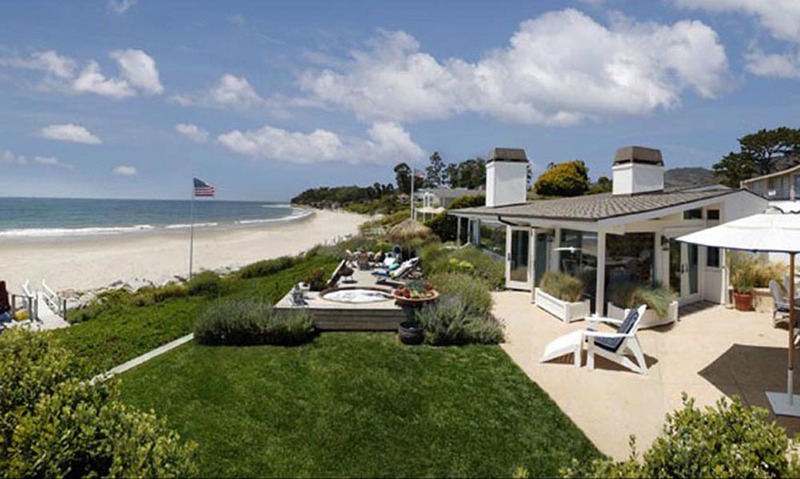 This seaside property is right on the water in Carpinteria, a quaint beach community just south of Santa Barbara. 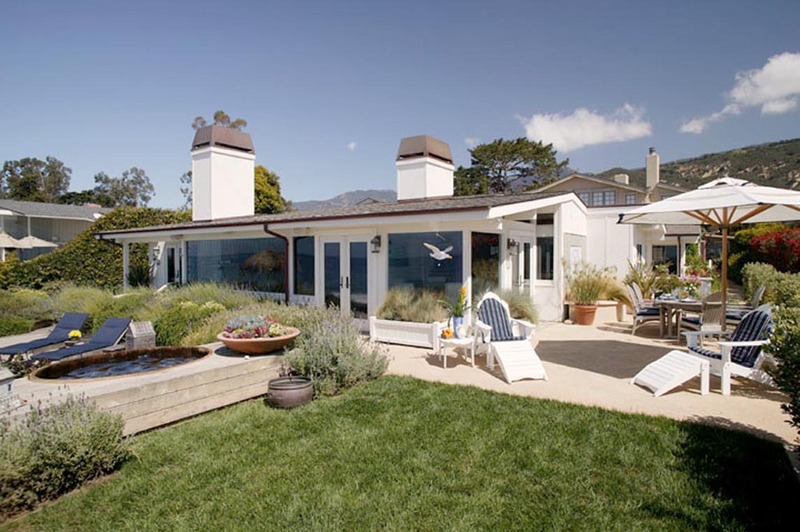 The home underwent a complete remodel, allowing the Aldrich Company to re-work the entire landscape design, specifying salt and wind tolerant plant materials. 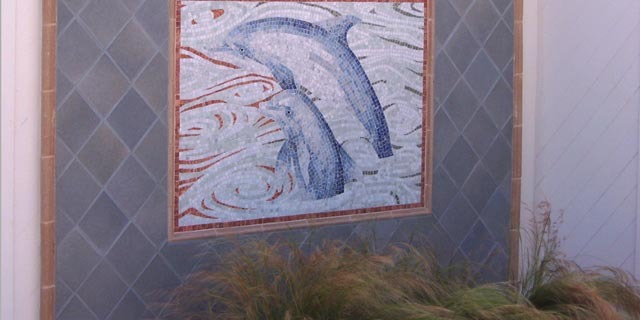 A designed mosaic tile wall piece was made to highlight the dolphins that often swim right by the garden. 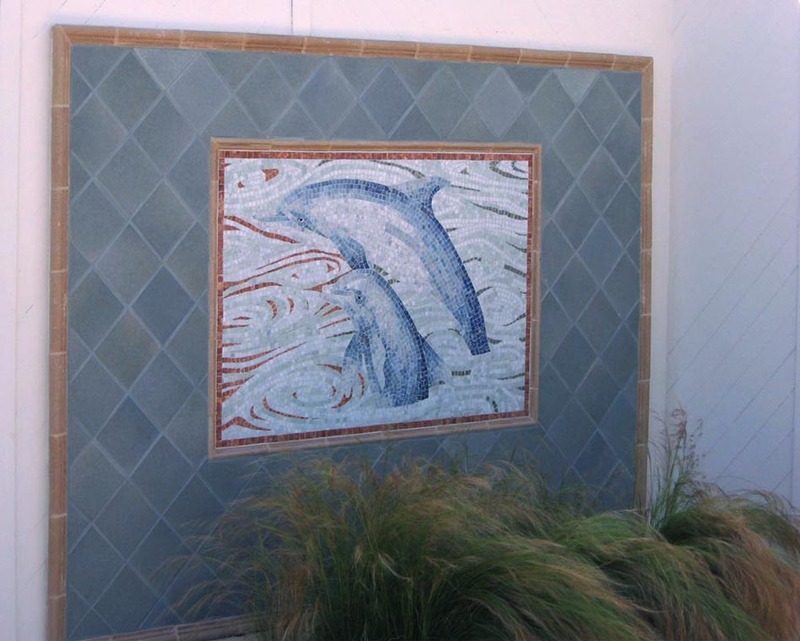 Ornamental grass was planted below the tile work to replicate the waves only a few feet away.